Training has been a key factor for my organization, but it seemed evident by the time our last MOOC ended that it shouldn’t be the way like this anymore. Well, I am sure that many of the readers who frequently visit “Your training edge” website, must have seen that we being a learning startup and training and development oriented business, never like to stick to rigid approaches. That’s the part of our strategic training methodology and this is something that glorifies our learning and training development pursuits for our clients. You can better understand this if you have also been a trainer or a learner who has ever experienced any online learning platform or even looking for some impressive one to get enrolled. If you want to determine the worth of what you are getting, do analyze the provider’s methodology. If it’s constant for a long time, chances are you are not going to progress beyond their restricted parameters. After 6 months of thinking, discussing and redefining, I and my team finally came up with the plan for rebooting the learning and training strategies to be offered from our end. Just as a glimpse, I can tell you that we are going to introduce certain preparatory requirements, training for new instructors and mini-lessons that can help people in organizing and conducting workshops. In addition, training for the newbie in the industry, both for trainers and learners, is going to be the part of our new learning strategy in 2016. 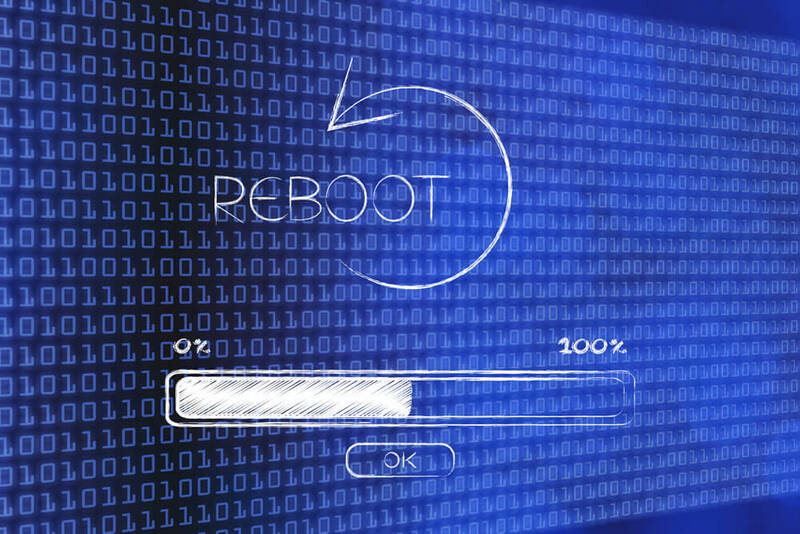 In a nut shell, more learning and training options, personal attention, development of new training systems and providing customized organizational training programs, are going to reboot our training this year. You know why I discussed my case here? Well, this is one of the examples of how people are rebooting their training and the way they are conceptualizing and implementing rebooted training objectives, in order to not just being customer oriented, but also to compete in the industry that is constantly being characterized by rapid technological developments. Here, I have listed some of the most essential and result oriented factors for rebooting your training in 2018. The factor of attracting, including and leading people in a changing world is the most important for rebooting your training in 2018. According to one of the Wall Street Journal studies, on a 5 points scale, the average score is usually 3 when employees of the company were asked for their happiness or engagement levels at work. It seems that engagement is much below standard worldwide, making it hard for the businesses to attract and retain their talent. In order to avoid this gap in 2015, businesses should think of assigning more resources to cultural training and making sure that the company’s culture is aligned and uniform across all business divisions, units and departments. When the culture is unified all over the organization, it becomes quite easier for the training managers to facilitate the learning programs, conduct training sessions and achieve high growth oriented outcomes. Inclusion and diversity are also changing the forefront of the trainers and leaders in 2016. As per one of the studies, 4.5 percent of Fortune 500 companies are being led by female leaders; CEOs, MDs, and TOs, and diverse teams have shown much higher performance rate than non diverse teams. Therefore, diversifying leadership and the line management is going to be another great strategy to reboot your training in 2018. An inexperienced and new workforce is leading to a higher need for coaching and training. The activities should be managed and monitored in online systems of record and development. Research has identified a gap in engagement and performance when assessments are without positive feedback- contemporary performances are more positive and the shift of focus is on employee development. Social tools enable people to share recognition and goals in more transparent ways, making it easier for the peers to give feedback to one another. This is one of the factors proved to increase the efficiency of training. Researchers have noticed that a major challenge for the businesses is the lack of critical skills that are needed for technically advanced and an information coated world. Taking this view in consideration, trainers and learning organizations must redefine their skill enhancement and development plans to cope up with the changing requirements of the clients. One way through which learning organizations are achieving this goal is the development of learning management systems (LMS). With more than 600 LMS suppliers worldwide, trainers need re-evaluation of their LMS platform in 2018 in order to ensure delivery of robust and effective learning experiences, especially in digital domain, for their clients.